Emily Ratajkowski Blazing Hot ... Check Out My Wedding Ring!!! 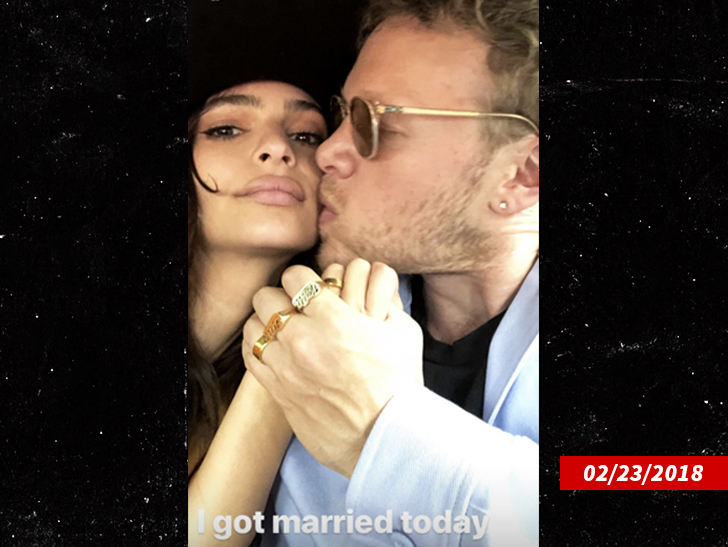 Emily Ratajowski is a heartbreaker, crushing the hopes and dreams of countless men and women by flashing ... her wedding ring. The 26-year-old just got hitched to Sebastian Bear-McClard. Sebastian's clearly not the jealous type, because Em posted this pic for all to see. The marriage was a big surprise ... they tied the knot last week nat a courthouse in New York City. Only a few friends were on hand to bare witness. It's unclear how long they were dating. Oh, he likes rings, too.